An 1890s shotgun house in Santa Monica, California has been saved from demolition and transformed into a LEED-certified show home. 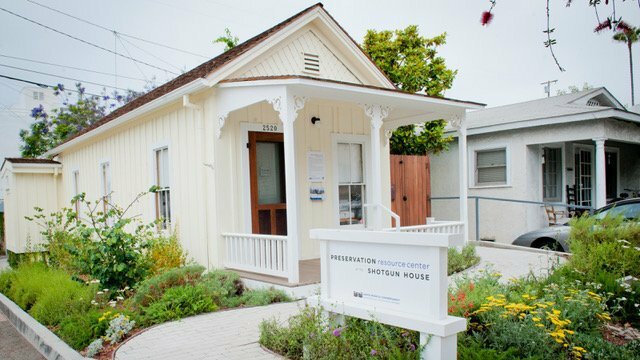 For a tiny structure, the Preservation Resource Center in Santa Monica packs a powerful sustainability punch. Housed in a rehabilitated 1890s shotgun house that was saved by community activists from demolition and rehabilitated with substantial pro bono support, the 527-square-foot structure is home to the Santa Monica Conservancy, a nonprofit organization dedicated to architectural preservation. The Center provides visitors with docent-led tours, information about historic resources in Santa Monica as well as the methods and benefits of preservation. Taking to heart the adage that the greenest building is the one already built, the Center is a model of adaptive reuse. Opened in 2016, 1,600 residents and visitors were welcomed in its first year of operation. It has been awarded LEED Gold certification, achieved by careful, sustainable rehabilitation methods such as reusing 95% of the original building as well as recycling 95% of its construction waste. An additional contribution to the LEED certification is its drought-resistant, water-efficient garden, comprised of native plants and wildflowers which requires no mowing and nourishes butterflies, bees and other insects while cleaning stormwater runoff to protect the nearby beach. 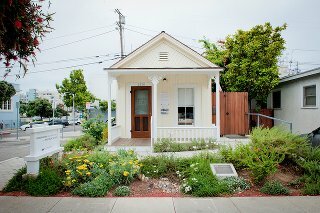 The Santa Monica Shotgun House, now home to the Santa Monica Conservancy’s Preservation Resource Center, showcases the latest preservation techniques. The petite garden that surrounds it replaces part of a parking lot with lush California native foliage and a bioswale to help clean water on its way to the ocean. Photos by Lesly Hall Photography for FormLA Landscaping. Initially slated for demolition in 1998, the home was preserved by a new owner, who in 2002 wanted to demolish the house to make way for a larger home. Community groups banded together to raise funds to buy the house for $1 and move it to a safe storage area. Eventually, the home had to be moved again when the storage space became unavailable. A local preservation organization again raised money to move the home. More than 20 sites were evaluated for a permanent home. The final site was chosen on the same street where the house had been originally, with the same orientation. The goal was to turn the home into a preservation resource center. The home was moved a third time to its final location, rehabilitated, and opened in 2016. This project could not have been undertaken and completed without the sustained collaboration of many individuals and organizations over the 14 years' effort. The demolition was stopped, and the house bought and moved by the local neighborhood organization, a nearby church, neighbors and supporters from throughout the region in conjunction with the City. They all recognized the importance of this century­-old house and fought to save it. A fundraising campaign was launched by volunteers of the local preservation organization after conducting a feasibility study with a professional. The campaign committee raised over $1 million toward rehabilitation, maintenance and some program expansion. Contributions came from foundations, local residents and businesses, as well as dozens of in­ kind contributions of materials and professional services to rehabilitate the house, sensitively and sustainably. Embracing the notion that the greenest house is the one already built, the organization remarkably earned LEED­NC Gold certification for this 527­foot­square house. Over 95.67% of the existing structural elements (walls, floor and roofs, 2 MRc1.1­1.2 points) and 53.01% of the existing interior non-structural elements (1 MRc1.3 point) were maintained. 91.5% of the construction waste was recycled (2 MRc2 points). 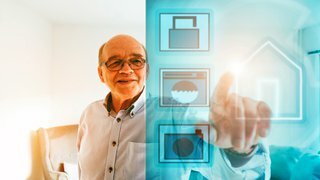 Furnishings and appliances were purchased, keeping in mind avoiding gas­emitting materials, cleaning with sustainable products, and having energy and space­saving features. A unique space enhancer was created by hinging the wall of the first room, doubling the space to accommodate large groups. The surrounding landscape was planted with drought-resistant, native plants to take advantage of the city’s climate, drought concerns, and limiting the need for mowing and watering. 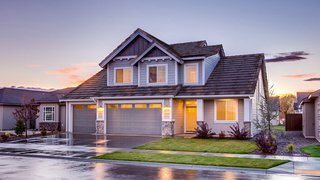 Cooling is provided by natural ventilation with windows on all sides, and an attic fan is set to circulate cool air during the night. A small gas wall furnace has been used only a handful of times in 18 months of operation. Found items, including a newspaper clipping from the 1940s, samples of linoleum, wood flooring, wallpaper and original wall structure were saved and some are exposed in special openings of the house interior to support the project’s educational purpose. The Shotgun House won the “Materials & Sources" Sustainable Innovation Award from the U.S. Green Building Council-Los Angeles in Dec. 2017. The conservation and restoration team included Zinner Consultants and FormLA Landscaping. 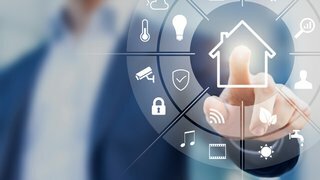 Read more about LEED and other green home certifications.